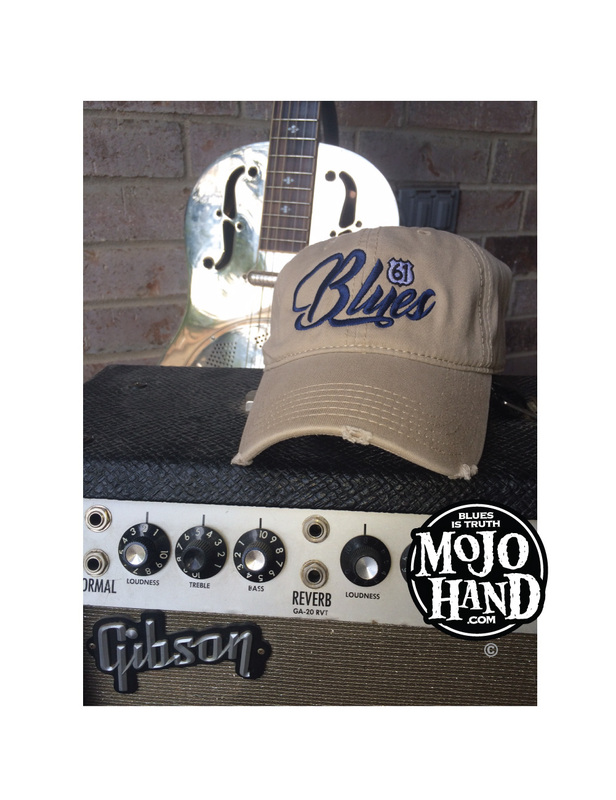 Blues Script Khaki hat – fully embroidered on a soft distressed khaki unstructured cap. 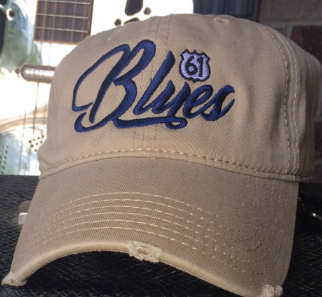 The highway 61 sign of the Delta Blues sewn across an OTTO velcro back hat. One size fits all – Beautiful Graphics and top quality USA Embroidery – sewn in Texas! A Mojohand.com exclusive – not sold in stores.